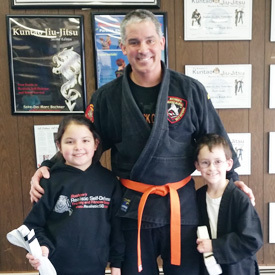 Marc Bochner has studied the martial arts for over twenty years. 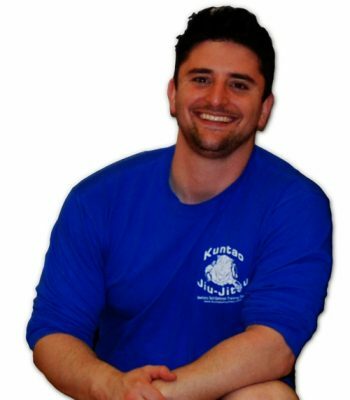 He is the owner and main instructor of the Bochner’s Realistic Self-Defense Training and Fitness Centers in Cranston, Rhode Island. 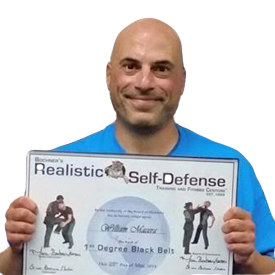 Bochner is the author of multiple self-defense books, has been published in BlackBelt Magazine, and is the producer and instructor in Bochner’s Realistic Self-Defense DVDs. 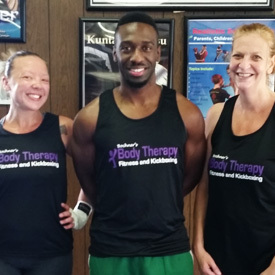 Bochner has a Bachelor’s Degree in Kinesiology and a Doctorate in Physical Therapy from the University of Rhode Island. 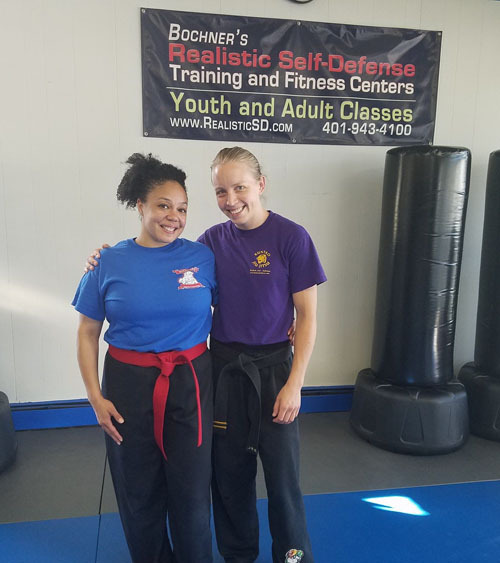 Bochner currently works as a licensed Physical Therapist, teaches self-defense classes, instructs self-defense seminars, writes self-defense books, and most recently children books. Bochner can be personally emailed at: Marc@RealisticSD.com. I love the atmosphere at my school and the interactions I have with my students and their families. I enjoy always improving and evolving as a person and a business owner. I like that all the students bring different ideas to the table and help create different techniques. I like to read and play the piano. The camaraderie between the students and the teachers is outstanding. It helps everyone feel comfortable, thus making it easier to learn. I also like how there is a set curriculum for each belt. This allows you to master the necessary skills to learn more advanced techniques. Besides my love for the martial arts, I also love baseball and working out. I also enjoy teaching martial arts. 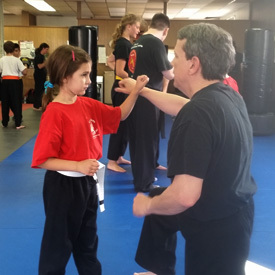 To teach someone how to defend themselves is a very rewarding experience. One of the things I like most about BRSD is that it is a fun and friendly environment. I have learned so much over the past few years and I have had a great time doing it. The students and teachers have made my experience a postive one. I enjoy writing fiction in my free time. I had one of my books self-published several years ago. I also enjoy music and concers. I recently got involved with a cancer charity called the Love Hope Strength Foundation and I get to go to concerts as a volunteer to sign up possible bone marrow doners. 1st Degree Black Belt Shotokan Karate, 2 years Shaolin Long Fist Kung-Fu (Instructor Candidate) Also studied Kenpo, Tae Kwon do, and Tai Chi. The Beatles, comic books, guitars and collecting books on Martial Arts. I really appreciate the camaraderie when you walk in. Everyone is there to work, improve and have a good time. Self-taught drummer (21 years). I love good music. I like to weight lift. San francisco 49er fan. Presently working on my Associates Degree at Roger Williams University. My favorite thing about Bochner’s is the diversity of the curriculum and how it’s presented. I especially enjoy how the focus of our training rolls from one area to another on a weekly basis. This format helps keep my training fresh and interesting, but it still provides me the opportunity to work on the repetitions necessary to be a well-rounded martial artist. This type of training is what I like to do most. 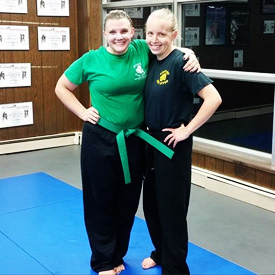 Although this is not a hobby, I especially enjoy interacting and learning from the people I meet as a result of studying martial arts/ self defense. What I love most about the dojo is the strong sense of camaraderie and the sense of community amongst the students as well as the instructors at the dojo. 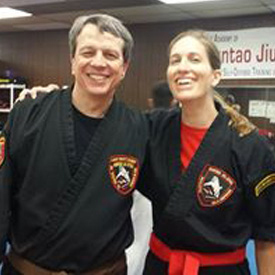 I love the noncompetitive, judgment free, fun, positive and friendly atmosphere at our dojo. It’s amazing to see how well everyone works together to help each other learn and grow. I enjoying watching everyone, including myself, strive for personal growth and conquer challenges. I enjoy dancing, the beach, spending time with family and friends, cooking, outdoors activities, and exercise.